Hours of Operation: Monday–Friday, 9:00 a.m.–4:30 p.m. | Shipping & Receiving, 9:00 a.m.–3:00 p.m.
Take advantage of the affordable short-run packaging and bottling services of Epic Materials Incorporated, our bottling company in Fraser, MI. Our small-quantity liquid packaging sets a new standard for your products. Since 2004, Epic Materials Incorporated has helped emerging companies get started with their product lines. Other companies require big runs of a couple hundred thousand units before they will accept your liquid bottling business. 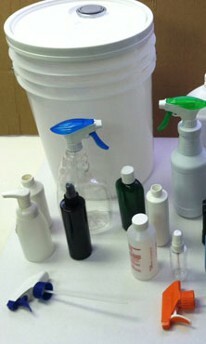 We help small businesses that don't need so many bottles to fill, starting at just a few hundred. Our customers count on us for quality and safety every time. Regardless of the quantity, we provide your company with the quality it takes for you to succeed. We are a family-owned-and-operated contract manufacturing and packaging company providing a range of shipping solutions for products. We have the experience and resources to execute the best private-label containers manufacturing, packaging, and shipping solutions, while upholding your QA standards. We strive to be an eco-friendly company. We regularly incorporate products that are derived from plants and other natural sources as a part of our green initiative. By not using hard solvents, we offer our customers a more environmentally sound service, and that's good for everyone. the complete and friendly services of Epic Materials Incorporated in Fraser, Michigan.